It’s been a while since I’ve been in the right place at the right time with the sunset and an old farmstead. Now that the kids are old enough, it’s time to take them (and their new cameras) with me. 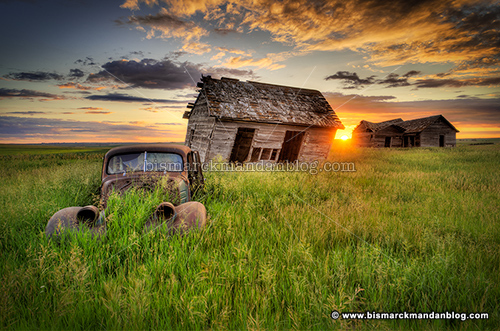 Sometimes an old farm will have a surprise, like an old car or tractor, to add to the mystique. In this case, all the ingredients came together quite nicely. And I needed it; I’ve been a bit of a workaholic lately.